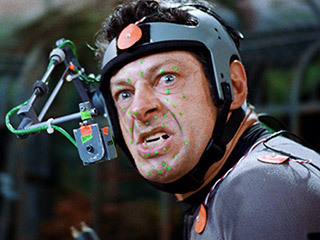 Many people wouldn’t recognize Andy Serkis if they met him in person, yet they’re sure to remember many of the characters he’s portrayed onscreen, via the assistance of performance-capture technology. Be it the raspy voiced bag of skin and bones that is Gollum from the Lord of the Rings trilogy, the eponymous building-sized “monster” from King Kong, the genetically-altered chimp Caesar from Rise of the Planet of the Apes – or, most recently, the burly alcoholic Captain Haddock from The Adventures of Tintin, Serkis has served as the heart and soul of many a memorable digitally-rendered character. Hence, the previous studio-backed pushes for him to receive an Oscar nod for his work in both the Rings trilogy and the Apes franchise reboot/prequel. 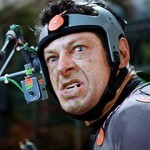 Despite the especially-massive push for Serkis to receive recognition for his performance as Caesar, the actor’s name was absent from the list of official 84th Academy Award nominations announced earlier this morning (at the time of writing this). Arguably, part of the reason behind both the Serkis snub and Tintin‘s being denied a Best Animated Feature nod is because many an Academy member is said to be wary of the mo-cap approach to character creation. More..